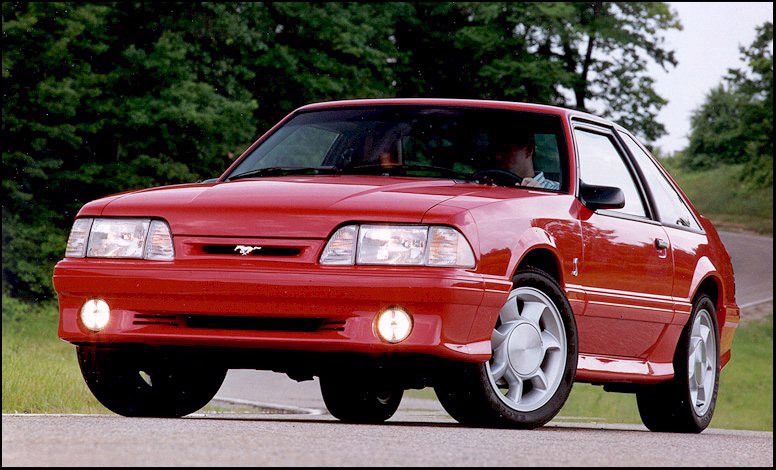 The 1993 Ford Mustang represented the final year of the "Fox" based Mustang model. Beginning in 1994 Ford used the SN95 body style which would feature a more sleek and modern body style. However, to many Fox Mustang enthusiasts the 1993 Mustang was a glorious final year as Ford re-introduced the Mustang Cobra to the lineup. As in previous years the 1993 Mustang was early identical to all 1987 to 1992 Mustangs. 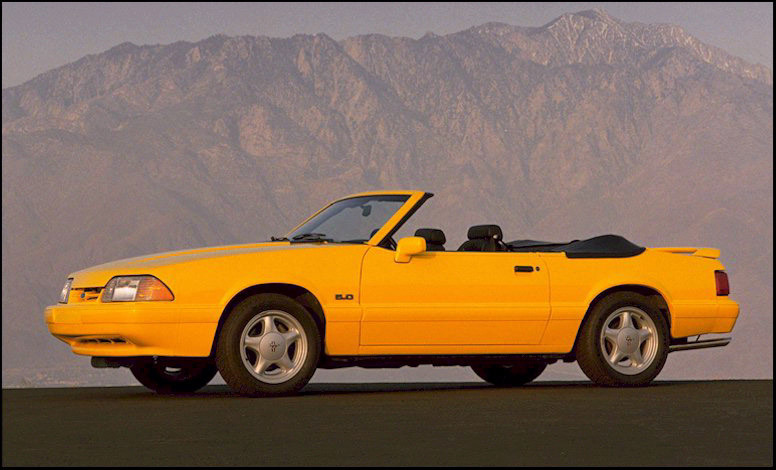 The exterior of the Mustang remains unchanged from the 1992 model. However, Ford did introduce some new colors including Electric Red, Bright Blue Clearcoat Metallic, Royal Blue Clearcoat Metallic, Reef Blue Clearcoat Metallic, Silver Clearcoat Metallic. The wheels were again the 16 inch style "Pony" wheels fitted with Goodyear Gatorback tires. 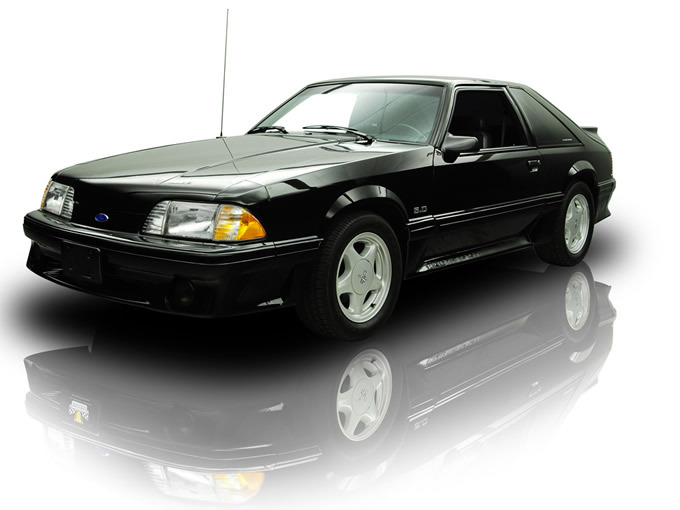 As in the 1992 year, Ford introduced offered a special Mustang model known as the "Limited Edition". The car was based on a 5.0L LX convertible which featured a yellow or white exterior with color keyed bumpers and mirrors, white or chrome Pony wheels, and white interior. Few of these models were produced making them an instant collectable. Prior to retiring the "Fox body" platform Ford had one more great surprise for enthusiasts which was the 1993 SVT Cobra Mustang. This car had a host of features not found in a typical Mustang GT including GT40 heads, cast aluminum cobra intake system, 65mm throttle body, 24lb fuel injectors, upgraded EEC computer, 1.7 ratio roller rockers, and a special camshaft which brought horsepower up to 235 and torque to 285 ft/lbs. All Cobra's were built from GT hatchbacks and were painted red, teal, or black and included a special 17 inch bladed Cobra rims. On the exterior all Cobra's had a larger rear spoiler, SVO tail lamps, and a special Mustang emblem embossed into the grill.